Catherine is currently the President and General Manager of CPAC (Cable Public Affairs Channel). CPAC is Canada’s only national, commercial free, not for profit, bilingual television and digital service. Catherine has more than 20 years of executive leadership experience in broadcasting across all platforms, in Canada, the United States and internationally. In her most recent position, she oversaw Newsgathering and all News Programming at Société Radio-Canada. Her early career began on Parliament Hill. Over the next two decades, she held leadership positions at the CBC/SRC, including Senior News Producer of the Ottawa Parliamentary Bureau, Editorial Producer of Le Point, Editor in Chief, SRC News and head of RDI, Deputy News Director of Al Jazeera English in Doha and Director of Program development at CBC. Among her many awards and distinctions are two Geminis and the Michener Prize, one of Canadian journalism’s most distinguished honours. 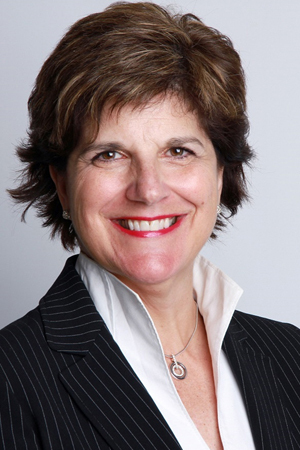 Catherine’s executive experience also extends to the private sector, where she was Managing Partner of NATIONAL Public Relation’s Toronto office. A strong advocate of news and media literacy, she is transforming CPAC into a Canadian leader in digital content and democratic literacy. This year, Catherine is honoured to be the recipient of the highly regarded WCT Innovator of the Year Award. She was also honored as one of Canada’s top 100 most powerful women in 2012 by the Women Executive Network.